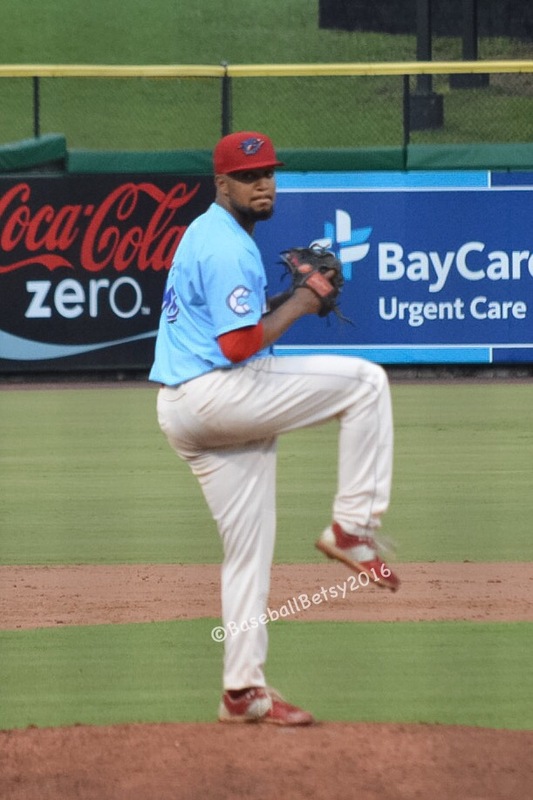 With the end of the Threshers season, all of the players are packing up to go home…except LHP Elniery Garcia, he’s packing for Reading. Garcia had an strong season here in Clearwater, he was 12-4 with a 2.68 ERA. Garcia was impressive in his final outing of the season, racking up a career high eleven strike outs against the playoff bound Dunedin Blue Jays. You can see the third strike call of all eleven strike outs HERE. Looks like Garcia is peaking at the right time and we hope he can help Reading in the playoffs. While the Gulf Coast Phillies, Williamsport Crosscutters, Lakewood BlueClaws and Clearwater Threshers seasons are over, the Reading Phillies and Lehigh Valley IronPigs have made the playoffs! Reading finished in impressive fashion sweeping Binghamton 4 games straight (closing the seasons with 5 straight wins) and they controlled their own destiny. Lehigh Valley had to lose the final game and the Gwinnett Braves had to win theirs to knock the IronPigs out of the playoffs. Mother Nature helped the Pigs by preventing the Braves from playing and the Pigs game was stopped after 6 due to rain with the Pigs ahead 4-1. Now, if Mother Nature will cooperate, Ross and I will be attending the 2nd playoff game in Lehigh Valley on Thursday (Our first game at Coca Cola Park) and will also be in Reading on Friday and Saturday nights.